Harlech Leisure in Gwynedd, Wales faced closure in December 2010. Then the community stepped in and came together to purchase the swimming pool for just £1 from the local council. The property was in a state of disrepair, but funding from grants and the national lottery meant a complete refurbishment and resurrection for the local community and the grand re-opening in 2011. Today, the leisure centre is run as a not for profit social enterprise by local village volunteers – it offers not only the pool and classes, but kayaking, a climbing wall, and a new refectory facility. Dylan, who previously worked in IT for 30+ years, knew that the leisure centre needed a till system where the data could be interrogated to monitor sales and activity levels. 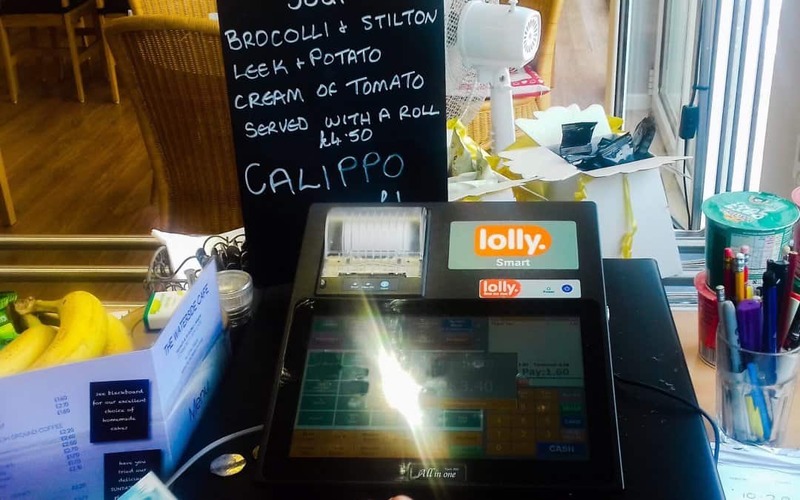 Dylan had also done his homework on Lolly – putting its downloadable EPoS on to his home laptop to gauge how the technology works, and how it could be put to best use at Harlech Leisure. Today, the centre operates one LollySmart till in the reception, and a second till in the café. The high speed processor in the touchscreen is perfect for a busy fast-serve environment. Installed with the EPoS software, it is matched with a range of add-ons such as portable card machine, bar code scanner, cash drawer, additional printer, a card scanner and cloud back office. Dylan Hughes comments: “Paying for the system on a lease agreement every three months is very helpful to us. And if anything happens to either of the tills, we have reassurance that it will be immediately replaced. “We’re now beginning to make more use of the range of reporting capabilities, the ability to also export the data into other formats, such as excel, is also very useful. We have not fully utilised the stock control and ordering part of the system, but are looking to introduce this in time especially on the café till.